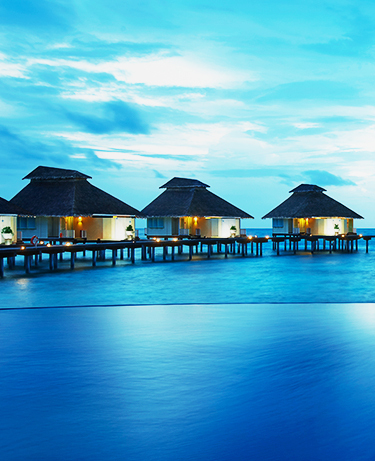 Ellaidhoo by Cinnamon Maldives is one of the most wonderful venues, closely surrounded by marine life. Taking after that very proximity, we arrange for intimate parties and ceremonies for a small gathering of those who matter the most to you. Sand between your toes, sun shining over your head, hand-in-hand with the love of your life – sounds perfect, doesn’t it? Live every moment of this amazing new start to it’s fullest, in the most carefree atmosphere at Ellaidhoo by Cinnamon Maldives. Share this intimate affair on a beach with those who matter the most and end it with a romantic candle-lit dinner for two.